What Torah is to Judaism, Bible to the Christianity and Quran to Islam, Bhagvad - Gita is to Hinduism but with a vital difference that is fundamental to the religious ethos and the belief system. While the Semitic Books dictate the God's diktats to the respective believers, the Hindu epic deals with the nuances of karma the disinterested action, and dharma the principled conduct that lend man the artha the worldly balance on his way to moksha the merger of one's soul with the Supreme Soul that is the Godhead. However, the over two millennium-old philosophical precepts postulated by Lord Krishna to warrior Arjuna at Kurukshetra, on the eve of the Battle of Mahabharata, that Veda Vyasa composed for mankind came to be polluted by unholy interpolations as Bhagvad - Gita was being passed on from generation to generation through the oral tradition of yore. 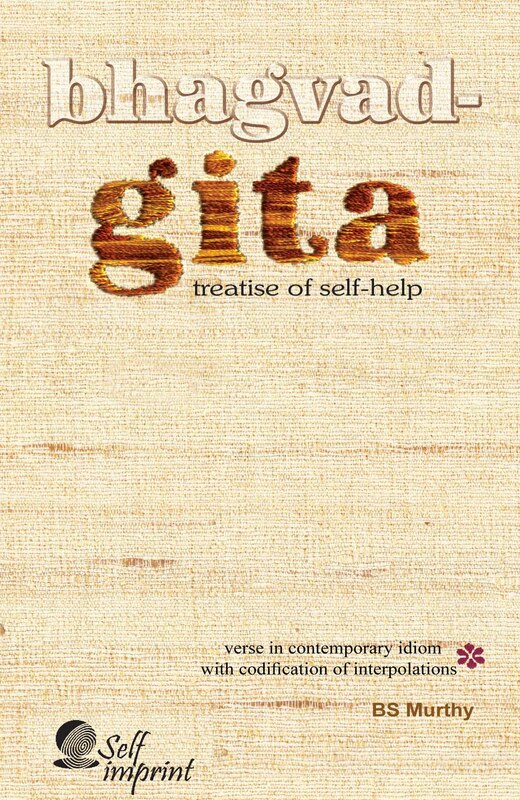 This modern rendition in contemporary verse that is rid of 110 interpolative slokas from the now in-vogue 700 seeks to restore its pristine quality to the immortal Sanskrit classic whose timeless philosophy is an ever valid self-help guide for man to come to terms with his troubled life in the turbulent world.